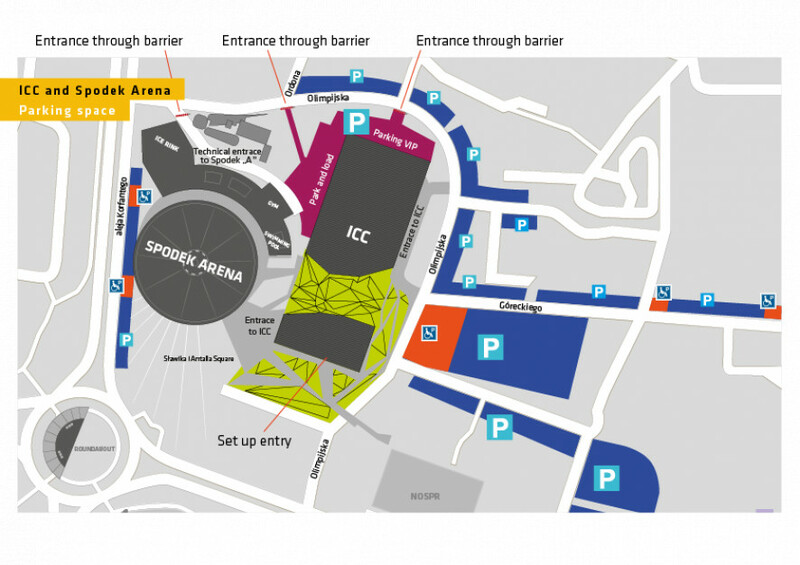 Here, you will find floor plans and maps of the Spodek Sports and Entertainment Arena, indicating convenient access to specific areas for the disabled and parents with children. The Spodek Arena is adapted to meet the needs of people with disabilities The mezzanine level may be reached from the cloakroom level by a lift. The auditorium of the main hall also has specially designated sectors that make watching a given show comfortable. The toilet for the disabled people is located on the Spodek Arena’s mezzanine. The facility also has a comfortably equipped baby room located on the Spodek Arena’s mezzanine, near Gate No. 7. In case of any difficulties, please contact security directly at +48 32 438 40 30.